You’re led to believe that the system will enable you to earn a consistent income & that “flipping” just one picture alone could earn you in excess of $10,000… But is it really legit & true? Or is Click N Flip a scam that’s really just set out to part you with your hard earned cash? What Exactly Is The Click N Flip System? Naturally I was therefore extremely interested in checking this system out because I’ve been making a full-time income online for around the past 7 years & I found it pretty strange that I hadn’t heard of this picture flipping thing before. I mean I had recently heard of something called ad flipping, but that concept turned out to be totally fake… And I’m not gonna lie, given the bold claims that the Click N Flip system makes right from the off I was leaning towards picture flipping being fake too. But anyway, you’re led to believe that the creator of the Click N Flip system (who goes by the name of Teo Vee) was shown this “picture flipping” method by a so-called 14 year old French genius. But this is the part where I’ve got to stop & point out that the whole thing is a FAKE. Just like the ad flipping scam that I previously exposed on this blog, this new “picture flipping” concept is totally fake too. It’s just been fabricated so that Teo Vee can trick you into purchasing his system to make himself some money at your expense – and as you’ll soon see what you buy into isn’t even the Click N Flip program at all (more on that in a moment). How Does Click N Flip Work? Basically Teo Vee, the guy behind the Click N Flip program has just come up with some sort of “gimmick” to trick you into handing over your cash and buying into his system so he can make some money at your expense. You see Teo Vee is actually the guy that’s behind a program named My Ecom Club, a dodgy program that costs thousands of dollars which promises to help people make money through e-commerce. 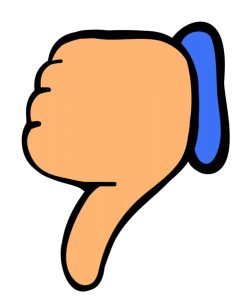 And because his My Ecom Club program utilises some dodgy practices (which I talked about in my own review of it) there have been several negative reviews published about it all over the web. People have been saying that it’s BS, that it’s expensive, and some have even called it a flat-out scam. Anyway Teo seems to have come up with a “tricky” way of getting people to sign up without seeing the negative reviews, and that’s by launching all of these fake gimmicky systems under different names. If you search for Click N Flip as I’m writing this review nothing will come up because it’s brand new – and that’s what Teo wants. He wants you to hand over your cash to “try it out” so he can make some money. And if you do sign up to Click N Flip (which I don’t recommend) that’s when you’ll find out that what you’ve actually bought into is the My Ecom Club program, because the Click N Flip program doesn’t really exist – hence the whole fake picture flipping thing. 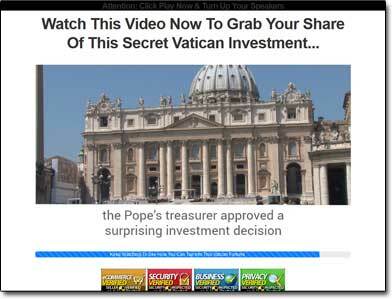 This isn’t his first weird trick system he’s launched though – I recently exposed one called Get This Plan where he claimed you’d be getting access to a passive income from the Vatican investment. Obviously though if you did sign up to either of those systems – the Click N Flip system or the Get This Plan system then you’d likely find yourself pretty disappointed because they both just sell you into the My Ecom Club program, which is something totally different to what you paid for. My Verdict – Is Click N Flip a Scam? Honestly, in my opinion yes it is a scam – because whilst you are ultimately buying into a program through which you are provided with some training (the My Ecom Club program), essentially I feel you’re being totally mislead into it. I mean the fact that you’re being lied to from the start about the whole picture flipping thing (which actually doesn’t exist) isn’t good at all – so it’s clear that the creator is just trying to trick you to get your cash. Therefore overall there is simply no way I’ll be recommending it to you because I feel like if you sign up to it you’re just going to be totally disappointed because what you get access to is NOT what you signed up for… And also the My Ecom Club program which is what you’re sold into via it costs thousands of dollars. The truth is that there’s simply no need to spend thousands or dollars or sign up to a program like My Ecom Club which uses tricks to get your money – you could just join a legitimate & platform like Wealthy Affiliate for free… And it’s there that you’ll find success. Or alternative you could check out one of these other ways to make money online.